MUSAWA supports, and is supported by a Human Rights Based Approach (hereinafter HRBA), which is an approach that gives equal attention to what should be done and to how it should be done. The difference with other development approaches is that it puts equal attention to process chosen to achieve these goals, as the very achievements of the goals themselves. Additionally MUSAWA will adopt a more Results-Based Management (hereinafter RBM) and will shift its focus from program, activities and projects linked to MUSAWA's mandate to the achievement of clear expected results and impacts. 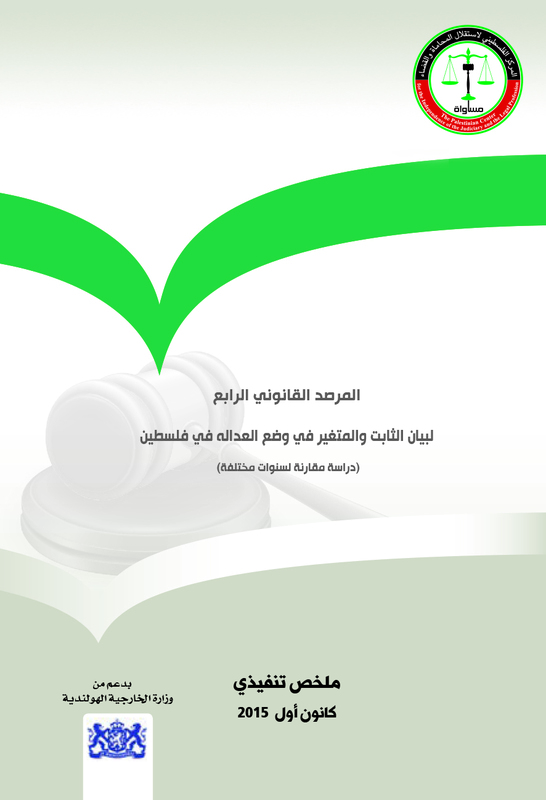 During 2016, MUSAWA will work on preparing a situation analysis of the causes of MUSAWA's problem statement, namely: a rule of law system ineffective, unqualified and incapable to realize and protect the right to a fair trial; the right to access to justice; and the right to be equal before the law, thus hindering efforts to develop the conditions for a viable Palestinian State based on justice, security and human rights. MUSAWA will assess which human right conventions and domestic laws apply to its problem statement; identify the most important right-duty relationships among the key actors and list the major valid claims of the rights-holder and key duties of the duty bearer (the so called role pattern analysis); identify the most important capacity gaps for the duty bearer to meet the duty and for the rights-holder to claim the right (the so called capacity gap analysis); and finally identify for each relationship and each rights-holder and duty-bearer the most effective and efficient actions to reduce or fill the identified capacity gaps (the so called intervention logic). As of 2017, MUSAWA will have a program ready to reduce and/or fill the current capacity gaps. MUSAWA's Strategic Plan 2016-2019 incorporates the HRBA and RBM while maintaining Gender Mainstreaming at all levels.